Visit Coogee Beach and Bouddi National Park for some beach relaxation. 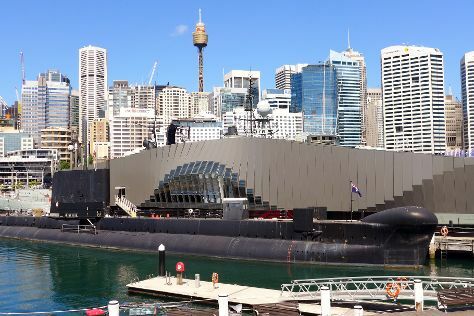 Satisfy your inner culture vulture at Australian National Maritime Museum and The Rocks. Venture out of the city with trips to Norman Lindsay Gallery & Museum (in Faulconbridge), Canyoning & Rappelling Tours (in Katoomba) and Leura (The Nook & Everglades Historic House and Gardens). Spend the 5th (Tue) exploring nature at Kamay Botany Bay National Park. The adventure continues: take a stroll through Darling Harbour, stroll through Bondi to Coogee Beach Coastal Walk, see a show at Sydney Opera House, and identify plant and animal life at Muogamarra Nature Reserve. For where to stay, maps, traveler tips, and other tourist information, read Sydney trip planner. If you are flying in from Norway, the closest major airport is Sydney Kingsford Smith International Airport. In January in Sydney, expect temperatures between 32°C during the day and 23°C at night. Finish your sightseeing early on the 9th (Sat) so you can travel back home.